MPlayerXP is a branch of the well known mplayer which is based on the new (thread based) core. The new core provides better CPU utilization and excellently improves performance of video decoding. Main goal of this project is to achieve smoothness of video playback due monotonous CPU loading. This project is a media player for *nix systems. 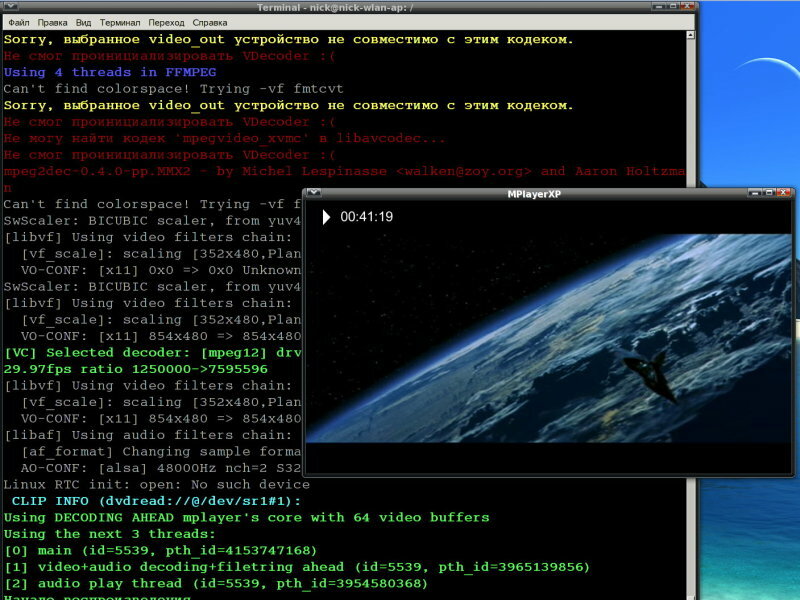 MPlayerXP was designed for Linux, but works on other unices like: FreeBSD, QNX. MPlayerXP is a branch of the well known mplayer which is based on the new core. ...... Not a long ago it was ported on MS Windows too! Please see FAQs for detailed instruction for how to compile and use MPlayerXP on MS Windows. Why: This project was born because we disagree with Arpad Gereoffy (the guy who developed mplayer since 2000) in the question of multi and single threaded cores of player. He is against of threading technology. I am not. In this connection: I have no goal to compete with mplayer in general. I just want to do this branch because it works better for me, and I would be glad if it will work (better) for you. The future: This branch is mplayer with applied extra performance patch (which was rejected by Arpi). I going to change infrastructure of the project and make it more lightweight, flexible and modular. Also I want to develop it in the multithreaded way. But these changes have nothing common with total rewrite of the core and other integral parts of THE PLAYER. Qweas is providing links to MPlayerXP 0.7.96 as a courtesy, and makes no representations regarding MPlayerXP or any other applications or any information related thereto. Any questions, complaints or claims regarding this application MPlayerXP 0.7.96 must be directed to the appropriate software vendor. You may click the publisher link of MPlayerXP on the top of this page to get more details about the vendor.